One of the rituals I have engaged in since I became a Heathen is ancestor veneration (also called ancestor worship or ancestor reverence). Ancestor veneration (to save space I’ll call it AV in this article) is practiced around the world and has been for thousands of years in native cultures from Asia to the Americas and Africa to Scandinavia. But as a modern American, I knew practically nothing about it until I went a-viking (er, converted to Heathenry). As AV is a cornerstone of Heathen (and many other Pagan and non-Pagan) religious practices, I’ve been meaning to write an article on it for a long time. And now, encouraged by Dia de los Muertes, the most famous ancestor veneration ceremony of the Americas, I’m finally getting my fingers on the keyboard to talk about it. AV is often called ancestor “worship” and I think this gives many people unfamiliar with the practice the wrong impression. Most of us who practice AV don’t worship their ancestors as higher powers that require bended knee or think the dead attain godhood. AV is a way of recognizing and remembering those who came before us. It’s honoring and thanking them, asking for help or advice, or just sharing time and remembering shared history (if there is any) – much like we would with a respected member of our living family. For those, like me, who practice AV, the dead don’t leave us behind. They are still present in our lives and can help in times of need. We take comfort from the belief that one day we will be ancestors to whom our descendants will (hopefully) pray, so that we, too, can watch over our family from the beyond and help strengthen the family wyrd* (or whatever a particular religious tradition calls the linking of one generation to the next). Ancestor veneration is not about death, it’s about community and remembering each life is one stitch in a much larger fabric that not only stretches through our current community, but also binds the past to the future. We are a part of where we came from, and we are part of the foundation for somebody who will come after us. It is good to honor those who came before, and it is reassuring to know that we can talk to our ancestors and get encouragement, guidance, and comfort from them. If you talk to them, your ancestors will be on your side when nobody else is, championing you, helping you, and strengthening your luck. I’ve heard questions about AV and adopted children. This personally concerns me because TheScott and I are considering adoption, so I’ve looked into it. In most traditions I’ve read about, adopted children have full access to both family lines – the line they were born into and the line they were raised in – giving them double the number of ancestors cheering them on. I’m currently doing research on what I’m about to say, so please don’t quote me yet, but Heathenry has a “Naming Ceremony” traditionally done nine days after birth (but can be done later if there is good reason to). This originally was a ceremony in which the father legally claimed the child as his own, giving the child full rights of inheritance. From what I’ve read, I think this ceremony was when they believed their ancestors accepted the child into the family line – regardless of whether or not the child biologically belonged to either parent. I love this, and should TheScott and I choose to adopt, we’ll do a Naming Ceremony to spiritually recognize them as part of our family line. Not that they wouldn’t be fully our family without the ceremony, but a ritual recognition of the fact would be meaningful to me and I think could help the children see how serious we are that they are fully part of our family. Practicing ancestor veneration has brought me a lot of peace and joy, and is the most important part of my religious life. While I still have a lot to learn, it’s amazing to be a part of a tradition that is literally world-wide and a major part of human spirituality throughout our history. In the future I’ll write more about the specifics of what I do, but for those of you who are unfamiliar with the practice, I hope this has given you a better understanding of what AV is and why it’s a popular piece of so many religions! For any of you who already practice some form of AV, I’d love to hear about it in the comments! For the rest of you, do you have any comments or questions for me? * Wyrd is the Heathen concept of the connectivity of all life, both within a community in the present time and through generations. I’ve written about it a more length hereand here. AV in Afro-Caribbean religions. The specifics of how it’s done are different, but the sentiment of why it’s done is right in line with Heathen thinking! Galina Krasskova is a bit of a “rogue” Heathen; a lot of what she says here mixes Heathenry with other faiths, but she’s straightforward with what she believes and an interesting read. Here is a more traditional (and academic) discussion of Germanic and Scandinavian ancestor worship. The ancient Germanic people, from what archaeologists can tell, only worshipped their female ancestors. They’re known as the dísir today, and there are several holidays in the Heathen calendar dedicated to them. Here is the beginning of an article on commonalities between various types of ancient ancestor worship around the world (to read the entire article requires a membership, but you can see enough to get the gist; this part focuses on aboriginal Australia). A report from the Smithsonian (in 1921) talking about Hopi Indian ancestor worship. I have several ancestors I want recognize and who I think are sending me love from the other side. But our relationships while they were living were difficult, so I can’t truly say I want to venerate them — and least not yet. How do I figure these folks into my AV practice? I wouldn’t get hung up on the word “veneration” (or “worship” or…). 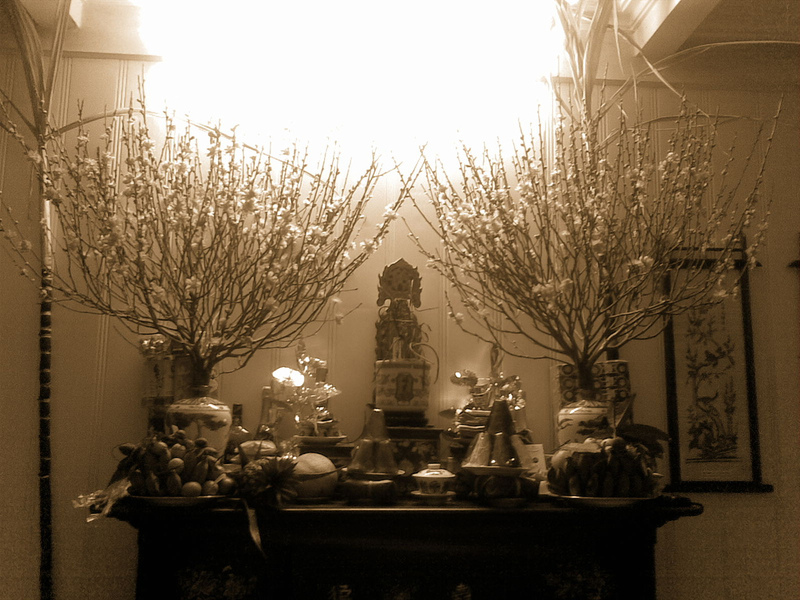 The idea of an ancestor altar is to honor our connection to the past and attune with the cycle of life and generations. Honoring ancestors doesn’t mean that we think they are perfect. It doesn’t mean we had a perfect relationship in life (or that we even knew them in life). It means we recognize that we are here doing what we do partially because of who they were. Not that we have no independence – we make our own choices – but there is a continuity. Whether or not you specifically honor any individual is up to you; I certainly wouldn’t say that anyone is under an obligation to honor someone they considered damaging in life (not that you would necessarily use such a strong word). 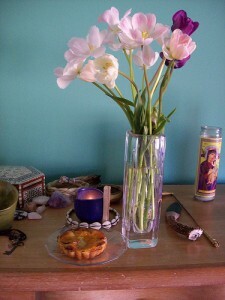 But if you are looking for a way to recognize them through your ancestor altar, in whatever way you feel comfortable, it may be a sign that this could be a good way of making peace with some of those difficulties. Fun article! Thanks! Not enough is written aBout AV. One of the things I use on my AV altar is two terra cotta saucers stacked to form a “mound” symbolic of the burial mound. I also have a set of remembrance beads that name all of my ancestors back 6 generations. Have you come across any interesting prayers? And together the harvest we’ll taste. 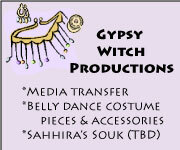 Then I put down my offering and continue with whatever business I have for that day.